Free UK Delivery & 1 Year Warranty. This hidden camera DIY kit allows you to build your own hidden spy camera into any item you choose. This hidden camera system features WiFi so you can view the live video footage from your camera via your mobile phone or tablet. The DIY system includes the camera lens, WiFi module & antenna, rechargeable battery with mini USB charging port, micro SD card slot and an on/off switch. 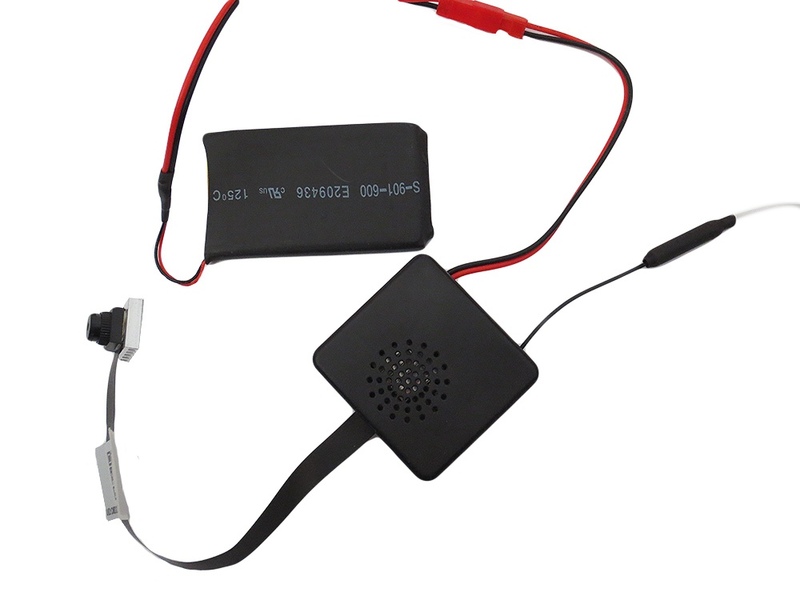 All you have to do is charge up the battery (or power the camera system directly via USB), download the free app, switch the covert camera system on and decide where you will hide it! There are many different objects or items that you could turn into a covert camera, providing the kit will fit inside and you can make a hole for the lens to “see out” you’re pretty much home and dry! The system records to micro SD card (not supplied) and maximum capacity of 128G can be used. Via the app you can set up motion detection recording or start & stop recording manually if you’re watching live. The app also allows you take a snapshot/photo, change the video quality, switch audio on & off, reverse the lens view, set the time & date etc – these are just some of the features available at the touch of your mobile phone or tablet screen. The battery will last approximately 2-3 hours from a full charge but remember you can also power the camera directly via USB for unlimited running time. You can charge the battery via any USB port, a cable is provided for this. Can I view the footage from the camera whilst the battery is charging? Yes, you can. 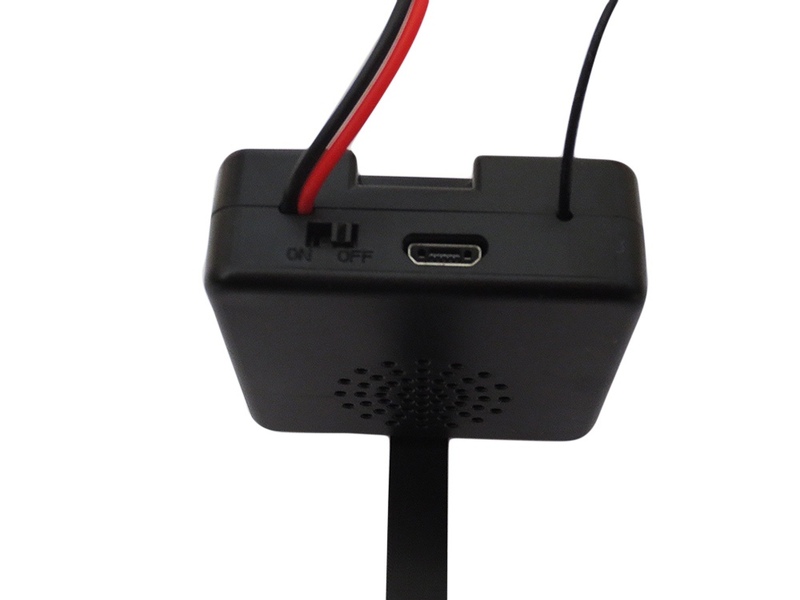 You can also disconnect the battery completely and power the covert camera system via the USB cable if you want to. Is the WiFi set up easy? Yes it is and we have written our own guide to help you with this, just click on the WiFi Set Up & Instructions tab above. Is the app free to install and use? Yes, the Pro iCam app is completely free to install and use. What recording options are available? You can set up motion activated recording or manually start and stop the recording yourself. Alternatively you can set the recording to start and stop at certain times of day. Connect the battery to the main system and then give it a full charge using the USB cable supplied. A small red indicator light will show when charging and go out when fully charged. Have the on/off switch to the OFF position whilst charging. If you leave the switch to ON you can still view live footage whilst charging but the battery may take longer to charge. You can also disconnect the battery completely if you want and power the system directly from a USB port. Once the battery is fully charged, move the switch to the ON position and follow the instructions below. Be patient when going through the WiFi set up as sometimes it will take a minute or so for your router to see the camera and vice versa. Install & open the free app – Pro iCam – from either the app store (for apple devices) or the play store (for android devices). Tap the + sign in the top right corner to add a camera. Install the free app – Pro iCam – from either the app store (for apple devices) or the play store (for android devices). Now tap the + sign in the top right corner to add a camera. Enter the UID (Unique ID) manually or tap QR Code and scan the code if your phone has the facility to scan (this is the easiest option), the QR code to scan will be detailed on a label on the camera itself. If you’re entering the UID manually then it must be entered exactly as it is on the label otherwise a connection will not be made. Any O you see in the UID is a zero, not the letter O. The default password is shown in the manufacturers manual (it’s usually 8888 and you will be asked to change the password after connecting). Now go to the WiFi Settings on your phone/tablet and find the camera UID in the router list (may take a couple of minutes to show in the list) and connect. You can now go back to the Pro iCam app and after 3-4 minutes the message beneath the camera name should show as “Online”. Tap to view. Then tap the Cog icon to the right of the camera name to enter the menu. Tap “Device Settings” and then “WiFi Config”. Find your router in the list and you will then be prompted to enter your router password. The camera will then reboot (again, this may take 3-4 minutes) and then show as “Online” again. Done! You can now connect and watch live video when you’re out at the coffee shop, supermarket, office or even when you’re on holiday. Remember, the quality/speed/smoothness of the video will be dependent upon the internet connection your mobile device is able to pick up and also the speed of the connection at the camera location. It also depends upon the resolution you have set, the higher the quality the more bandwidth required etc.